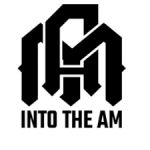 Into the AM specializes in graphic and all over print designs on clothing, apparel, and accessories, offering designs from popular artists around the world on a limited-edition basis but also giving customers the opportunity to create their own custom pieces and have them printed on demand, too. Customers that wish to partner with Into the AM can also sell their designs through the marketplace and earn money on each sale. Sign up for the free VIP program that this company offers to take 10% off of your entire order, with other exclusive promotional codes sent to customers on a weekly basis as well.